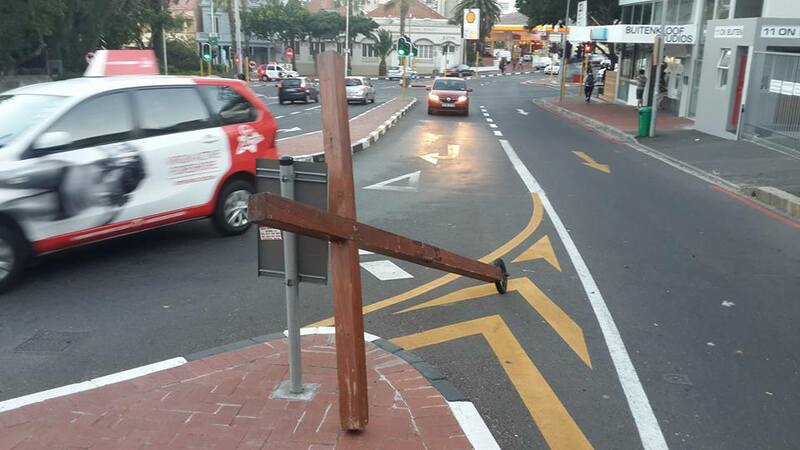 Being very hot in Cape Town city at the moment i walk mainly towards late afternoon with the cross. i was undecided in which areas to walk tonight and told Winnie i am just going to walk on the M3 towards the city and go as the Holy Spirit leads me. As i passed the top end of Long street i felt led to walk up to Buitengracht street and turn down Wale street coming back up Long street. Long Street have a lot of restaurants, clubs and some very bad elements walking around and doing business in the area. Drugs seem to be easily available with drinking and partying being the norm there with ladies of the night doing there business as well. 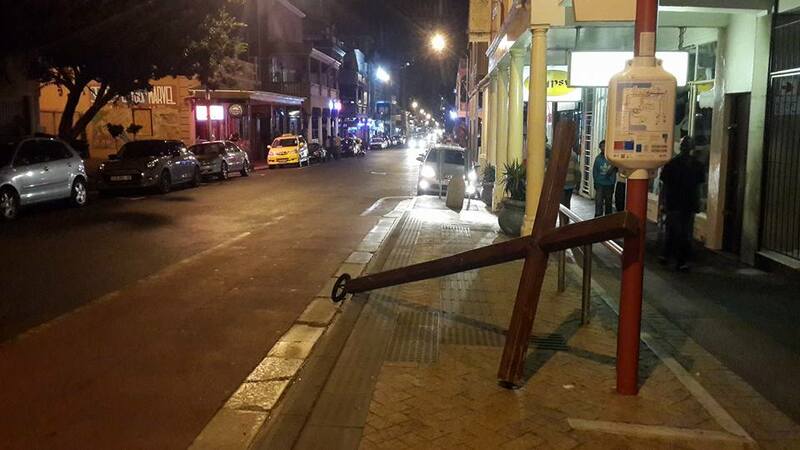 When i got to Long Street i walked down on the pavement for about 1km. i was surprised how open the Muslim people when i greeted them in passing. A lot of people wanted to know why i am doing this which give me the opportunity to share the Gospel of Jesus Christ to them. 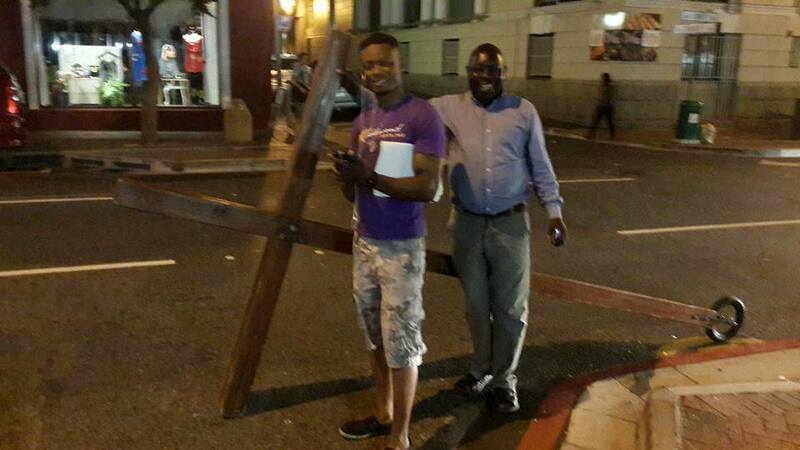 A Muslim man approached me and ask if i am going to be crucified on the cross i am carrying. 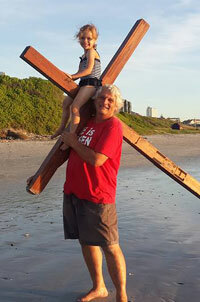 i told if it is so then as i am not worthy and they must crucify me upside down on the cross. 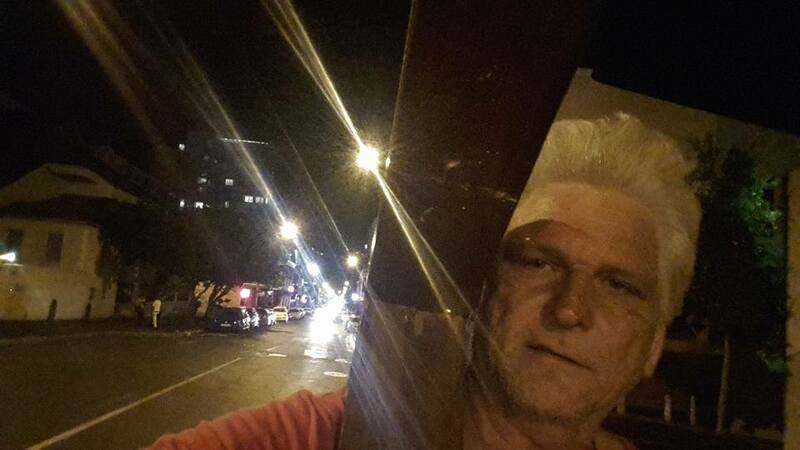 i turned the cross upside down as shown in the picture which got a lot of attention with many people approaching and listening on the side as i shared the Gospel to this man. 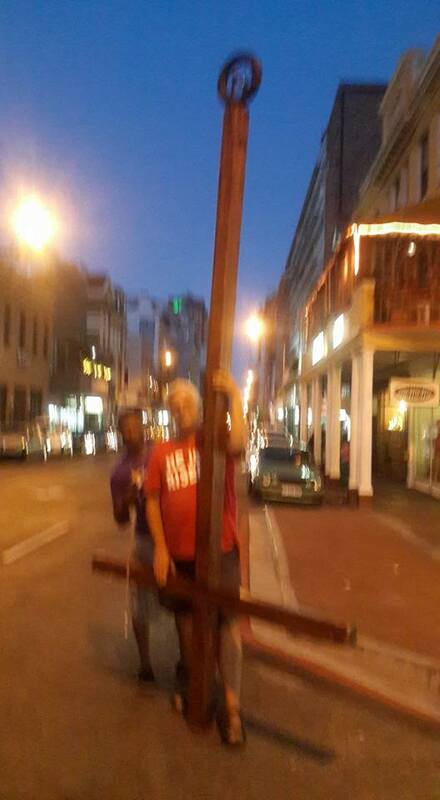 i got to the top of Long Street +- 10pm that night and even as i walked the 2km back on the M3 to where we staying many people in passing hooted and saw me as i walk with the cross.